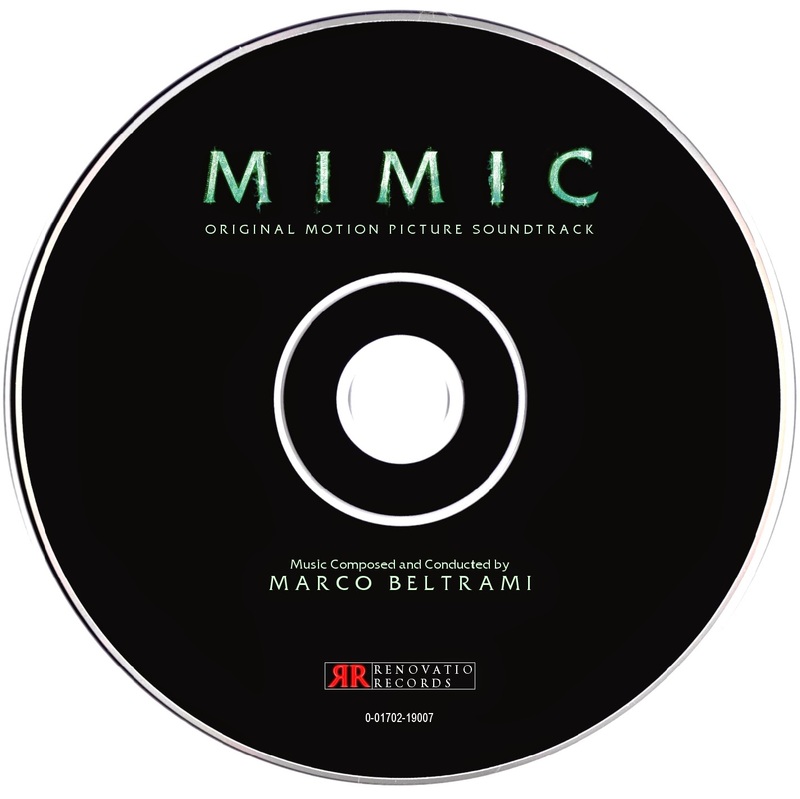 Renovatio Records presents the score for 1997 horror flick Mimic, composed by Marco Beltrami. 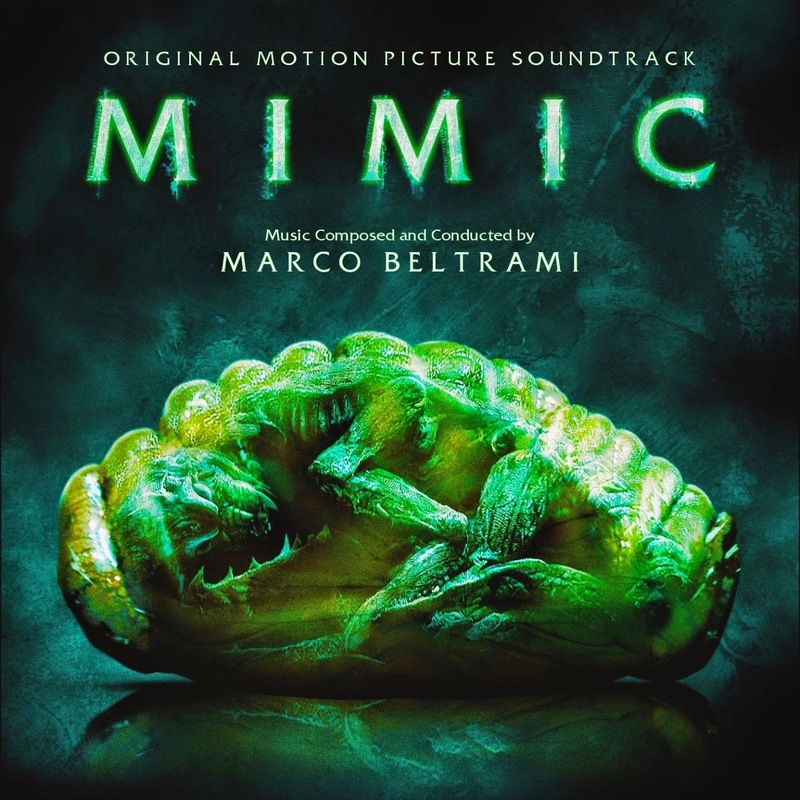 Directed by Guillermo Del Toro, the film stars Mira Sorvino, Jeremy Northam, Giancarlo Giannini, Josh Brolin, Charles S. Dutton and F. Murray Abraham, and revolves around a group of scientists that discover a miraculous cure that stops the spread of a deadly disease. However, three years later, their creation has evolved into a horrifying lifeform, able to mimic and hunt down its prey: man. 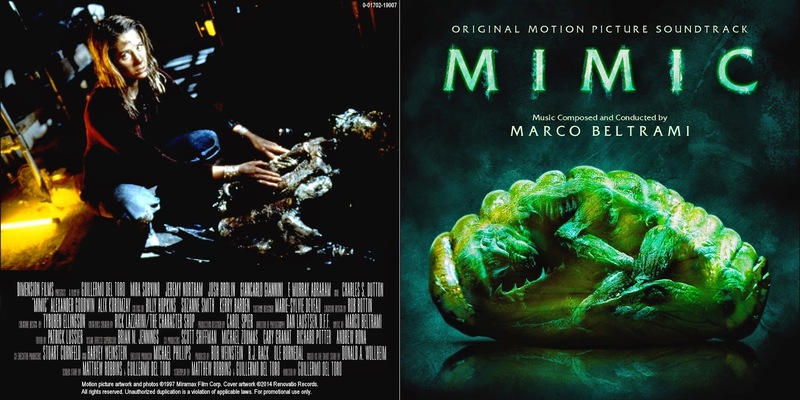 With dark muddy sets and hideous insect-like creatures, the B-rate movie stands as one of Del Toro's most characteristic works. The same could be said about Beltrami's score, one that definitely set the composer in the horror genre mainstream. The score's most characterizing feature is that it is quite accessible within this genre, which usually provides dissonant and cliched scores. Beltrami achieves in offering a strong thematic content, empowered by a large orchestra and a lot of intricate percussive passages. Most importantly, the score virtually lacks post-production work, as it was written and recorded with old-school techniques. What you hear is exactly what the orchestra performed! Varèse Sarabande issued an album at the time of the movie release that was quite short, missing a considerable amount of good music. 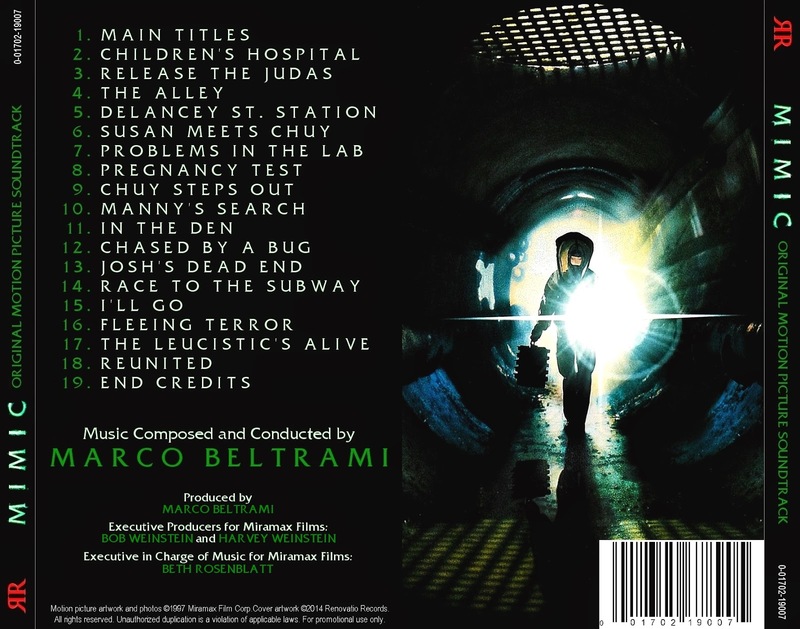 In 2011, the same label produced a Deluxe edition that included the complete score, with many short tracks resulting in a rather slow listening experience. Now, Renovatio Records brings you a new arrangement of this score, a clear tribute to the works of Christopher Young and Jerry Goldsmith in the horror genre. Mimic is definitely a must-have in a Beltrami collection! !